Soviet flying boat KOR-2 (Be-4) on board the cruiser Molotov. 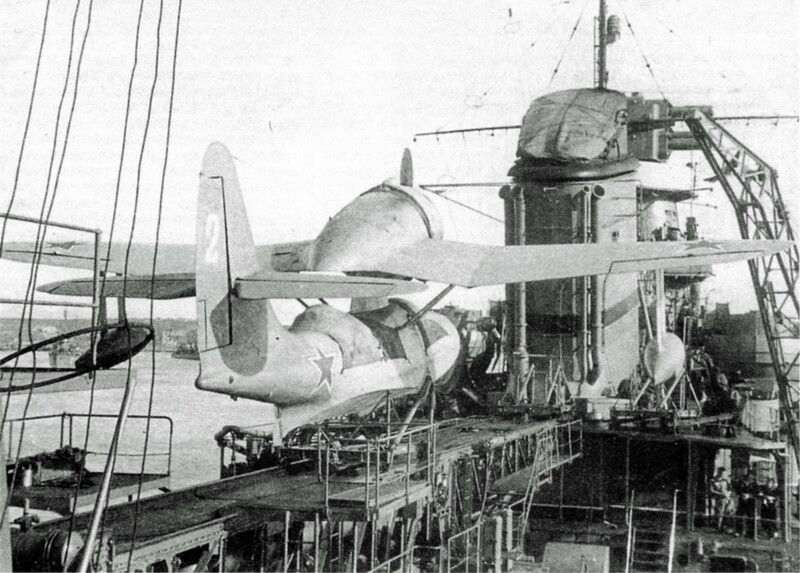 KOR-2 (Be-4) is a deck ejected flying boat (short-range naval reconnaissance aircraft), developed in 1940 by the OKB under the direction of GM Beriev. It was tested in 1942, in 1943-1945 it was produced in small series, in total 100 aircraft of this design were built.